Ward has spent almost 40 years assisting small and medium sized Virginia companies grow through accounting, payroll, tax, and advisory services. Prior to that Ward was a Revenue Agent with the Internal Revenue Service for over 6 years. Ward and his wife Cathy have been married 45 years, and have two children, a house full of pets, and a wonderful new grandson born in 2017. Elizabeth’s major focus in college was not accounting, but when an employment opportunity presented itself from her father she returned to Virginia to begin work in 2003. After several years of hands on experience she is now the primary payroll agent and office manager for Ward Dean, Jr. CPA. Elizabeth has been married to her husband Tim for 14 years and they have 2 dogs and 2 cats. Elizabeth likes photography, cooking, reading, and, most of all, traveling. Sherry joined Ward Dean Jr., CPA in November 2018. Prior to joining our team, Sherry worked as a manager with another public accounting firm for over 15 years. She has an extensive background serving various sized businesses in the areas of financial statement preparation, income tax, payroll tax, sales tax, and benefit plans as well as providing individual income tax services. Sherry and her husband Steven have been married for 27 years and have two children and one basset hound. 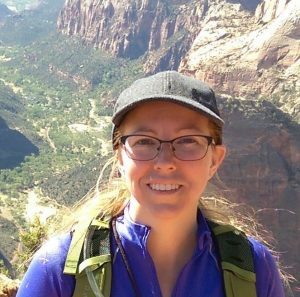 She loves being active and when not working in tax and accounting you’ll find her baking, cake decorating, gardening, raising poultry, and hiking at national parks around the country.